Is power something to strive for or is it just one of many tools necessary for our survival? To what extent do our responsibilities and obligations define us? 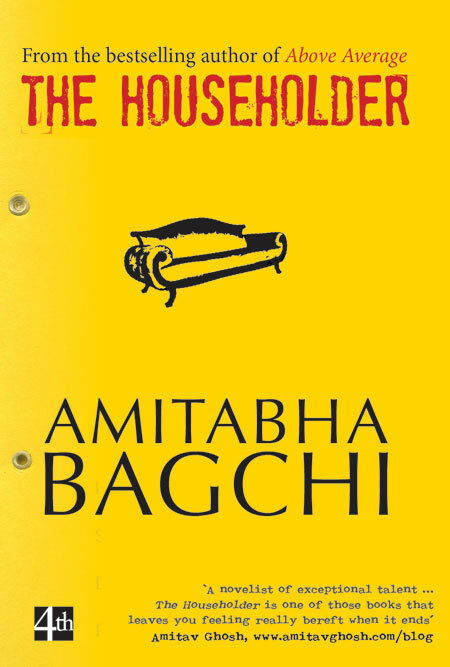 The Householder, Amitabha Bagchi’s second novel, sheds some light on these questions and more. Based in New Delhi, the novel provides some interesting insights into the functioning of traditional Indian families and the many roles that we must all play in our daily lives. How has the reception to The Householder been so far? What are some of the most interesting things that people have said to you about the book? So far the reception has been good. I have my fingers crossed, though. One of the most interesting things I have read about this book was in a review in India Today where the reviewer called it a “welcome successor” to English, August. It took me completely by surprise because I have had a long and complicated relationship with English, August but I never directly thought about it when I was conceiving of or writing The Householder. The reviewer saw something I myself had not seen. What kind of research was involved in putting together a novel like The Householder? How long did it take you to write it? There was very little research involved, just a couple of facts here and there. It was mainly written on the basis of observation and intuition. It took me about seven months of thinking and planning and 11 months of actual writing. 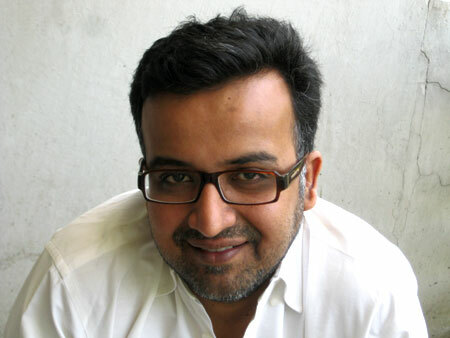 Both your published novels have been centred around middle-class life in Delhi. Well, like any other novelist I am trying to approach the universal themes of human life, and, like many other novelists, I am trying to approach them through the specific world that I know best, i.e., the world I grew up in and that I still live in. The Householder deals with the roles of men and women in Indian society as perceived by the protagonist. Mr Naresh Kumar is of the opinion that women do not have access to “the power and prestige” that he enjoys as a man. In modern Indian society, do you think that men enjoy privileges that women do not? It is not possible for any honest person to deny that they do. That does not mean we should not look at the constraints that masculinity places on men, because understanding the gendered nature of our lives on both sides of the divide is the first step in rolling back the oppression that is played out in the name of gender. Responsibility is a central theme of the novel—responsibility towards one’s family, employers, friends. Responsibility is a double-edged thing. On the one hand, it is clear to most people that it is by fulfilling our responsibilities to the best of our abilities that we ascend into a more developed personhood. Our responsibilities and our relationship to them are central to the living of a complete life. On the other hand, responsibilities constrain us, stress us out, and often make us wish we could shed them and run away to some magical situation where our only responsibility is to ourselves. This conundrum is one of those unresolvable ones that human life sets down for us. In other words, it is the stuff of literature. The book also sheds some light on how things really work in government offices in India. Corruption seems to be an integral part of the system. Do you think a corruption-free system is even remotely possible in a country like India? Would that even be a good thing? I don’t think there is such a thing as a corruption-free human society. But there is a question of extent. We can certainly dream about a society which is less corrupt, but I do not believe that can happen without serious self-examination. Finger-pointing will not get us anywhere. Your other question—will a corruption-free society be a good thing—is very interesting. Let me say that as a social system it may or may not work—it is not my expertise to comment on that. But it is my strong feeling that at the level of the individual it would be great because I think that people want to live honest lives. It’s just that most of them can’t afford to. Do power and responsibility go hand in hand? How important is contentment, or the pursuit of it? Is contentment even attainable, considering how you always have someone to answer for and/or answer to? I don’t believe there are general answers to such questions. If I felt that such questions could be answered in general, I would approach Aastha or Sanskar and get my own T.V. show. Being a novelist, my intention is to get my readers to ask these questions. It is my intention for my readers to see such questions floating around my characters and their situation. And those readers that do apprehend these questions will have to answer them based on their own situations, experience, personality, and all those other things that make up the specifics of a human life. Lastly, in the novel, you have highlighted the difference between the “Indian” way of making tea, which involves boiling the milk with the tea leaves, and the “fancy” way, which involves draining the tea leaves away and then adding a bit of milk to the cup. How do you prefer your tea? A friend of mine once told me, “Bagchi, maine life mein ek cheez seekhi hai: chai ko jitna ubalo, utni hi achchi banti hai.” (“I have learnt one thing in life: the more you boil your tea, the better it is.”) I belong to the camp that believes in this maxim. Bring water to boil with grated ginger (if you have some), add tea leaves, and turn the gas down. Let it brew for a couple of minutes, then add the milk (at least as much as the water), sugar as you like, and bring it to boil. Once it’s come to boil, let it roll on medium gas until you run out of patience. Strain and pour. You can purchase The Householder online at this location. Incidentally, I just finished reading The Householder. Accepted, it is a decent read. But I have read Above Average as well and for some intangible reason, I found the second book to be several degrees inferior to the debut. I have to admit that I have the privilege of knowing Bagchi a little bit, although its been a while since I last saw him. The above interview is just a reflection of who he is as a person – grounded, honest and committed to what he does and believes in. The Householder, is one of the very few Indian novels I’ve read this year, and I must say I was surprised. It takes courage to build a narrative about a middle aged, morally corrupt protagonist, particularly one from a certain socio – economic and cultural background. Bagchi manages to do this with ease in his own imitable way, and keeps you chuckling through the proceedings showcasing his dry wit, exploring the grey shades in his characters and his keen eye for detail. A couple of characters didn’t work for me, but having said that, this is a book I managed to finish in a single sitting. Incidentally, my Mum did the same and loved the book. This one’s a winner.